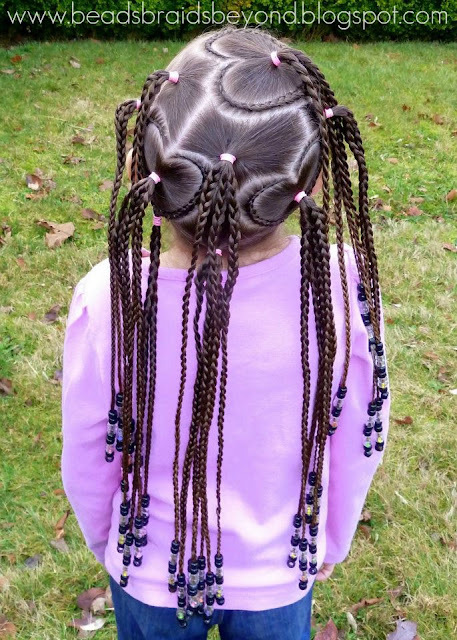 Beads, Braids and Beyond: Valentine's Day Hair - Lots of Braided Hearts! Check out this awesome Valentine's Day style Toni of Keyative Styles shared with us. Loves it! Where are the instructions for that?!? I wish my mom hooked up my hair like that for Valentine's Day!! love to get some tips on how you parted this off. I love it... Would love to see how it was done. 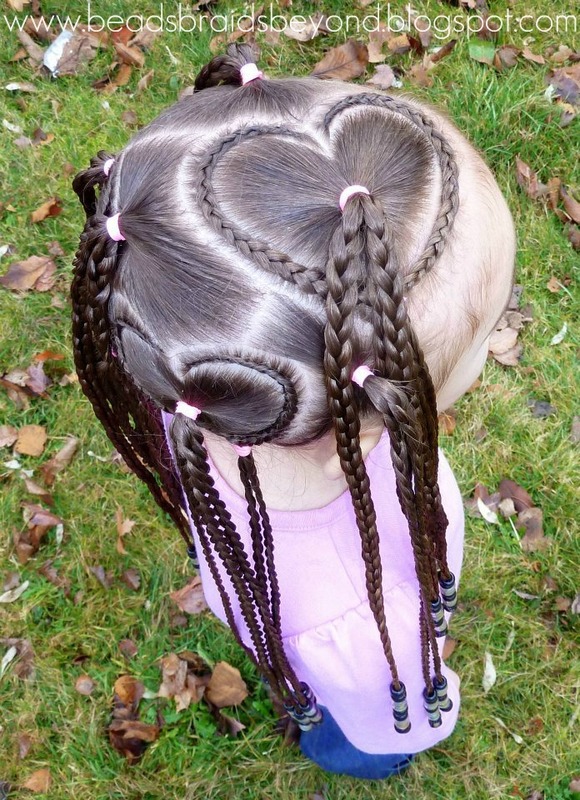 That's so cool how you braided the hearts in her hair I've never seen anything like that! Her hair is very pretty.